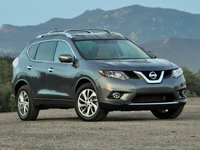 CarGurus has 25,148 nationwide Murano listings starting at $1,999. Nissan's Murano is due for a remodel, but that won't happen for 2014. Aside from one new interior color option, the 5-passenger crossover returns unchanged from 2013. Truth be told, the Murano has stayed the same for the better part of a decade, but that's not such a bad thing. It's organically curved exterior lines remain attractive, although they're no longer unique, since many competitors (Hyundai Santa Fe, Buick Enclave, Chevrolet Traverse, Mazda CX-9) have mimicked that bulbous beauty. The Murano's interior is still well-made and can be well-equipped for the right price, and its performance is still smooth. 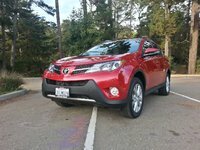 There are 4 trim levels for the 2014 Murano (S, SV, SL and LE), but only one powertrain choice: a 3.5-liter V6 engine that produces 260 hp and 240 lb-ft of torque and is mated to a continuously variable transmission. That combination gets 18 mpg city/24 highway with front-wheel drive (standard on S, SV and SL trims) and 18/23 with all-wheel drive (standard on the LE and available for all trims). While its fuel-economy numbers aren't great, the engine provides plenty of power for all situations, and the CVT doles it out effectively. The Murano also receives praise for its handling. Steering feel and brake response are among the best in its class, and the suspension provides enough stiffness for confident cornering and enough give for a comfortable ride. It can even do a little towing (up to 3,500 pounds) when properly equipped. The Murano's high point is the cabin, which provides quality materials, comfortable seating, pleasing style, intuitive layout and, in the higher-end trims, a plethora of features. The S trim definitely feels like a base model, with bare essential standards like dual-zone climate control, cruise control, a leather-wrapped shift knob, push-button start/stop, power windows and locks, and a 6-speaker AM/FM/CD sound system. The SV adds Bluetooth, a rear-view camera, auto-dimming rear-view mirror, 8-way power driver's seat, 4-way power passenger seat, leather-wrapped steering wheel and an upgraded sound system with Sirius XM satellite radio, speed-sensitive volume and steering-wheel-mounted audio controls, as well as exterior features like automatic headlights, fog lamps and black roof rails. Moving up to the SL trim delivers heated front seats, leather upholstery, memory for the driver's seat and mirrors, rain-sensing wipers, a 9-speaker Bose sound system, moonroof with power sunshades, heated mirrors, power liftgate and an optional Navigation Package that includes a hard-drive navigation system, 7-inch color touchscreen, voice recognition, blind-spot warning, moving-object detection and lane-departure warning. The high-end LE trim adds to those features and options with heated rear seats, a heated steering wheel, wood-tone trim, power tilt-and-telescoping steering wheel with memory, HID headlights and silver roof rails. While the Murano's sloping lines have style, they do cut into cargo room—31.6 cubic feet behind the second row and 64 cubic feet with that row folded down. And the seats may be comfortable, but the rear is probably best suited for 2 passengers, especially if they're adults. The National Highway Traffic Safety Administration gave the 2014 Murano an overall crash test score of 4 stars on a 5-star scale with a breakdown of 4-star frontal, 5-star side impact and a 4-star rollover rating. The Insurance Institute for Highway Safety gave the 2013 Murano a top score of Good in front-, side-, and rear-impact crash tests, but only a Marginal (above Poor, but below Good and Acceptable) in its roof-strength test. Standard safety equipment includes stability control, antilock brakes, front airbags, side-impact airbags for front occupants and side curtain airbags for front and rear seating. 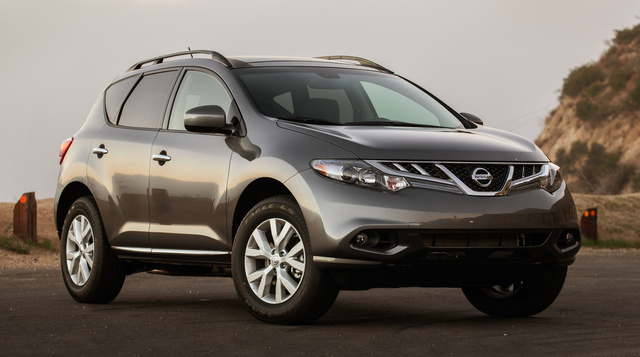 What's your take on the 2014 Nissan Murano? Users ranked 2014 Nissan Murano against other cars which they drove/owned. Each ranking was based on 9 categories. Here is the summary of top rankings. 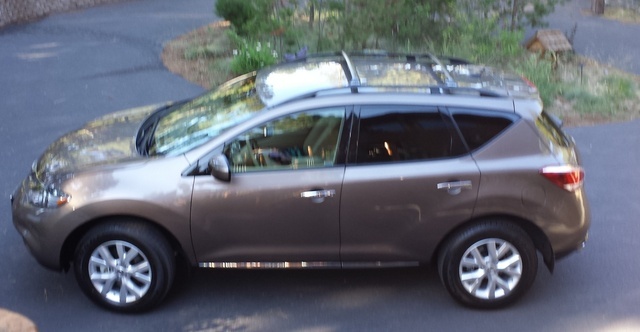 Have you driven a 2014 Nissan Murano? Was told I need to replace my serpentine belt and tension adjuster?